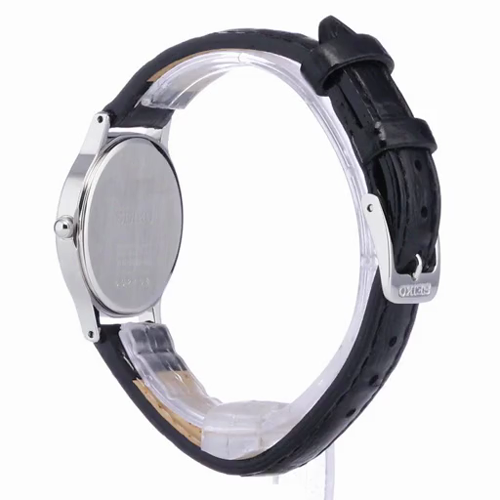 Keep it simple and sophisticated with this smart black leather strap watch by Seiko. Styled with a sleek stainless steel case and fresh white index dial, and engineered with solar powered technology, meaning it will never need a change of battery. 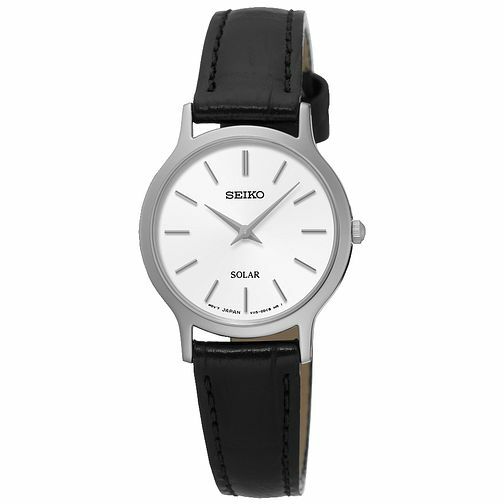 Seiko Solar Ladies' White Dial Black Leather Strap Watch is rated 5.0 out of 5 by 1. Rated 5 out of 5 by Anonymous from Classic I wanted a clean, clear face, that you could immediately know the time. I didn't want the date - l usually know what day it is and l think it mars the face. Minute hand not necessary - l can count up to sixty quite accurately if needed. So, all in all, this fits the bill. A big plus that it is solar. Staff at branch extremely helpful and patient.